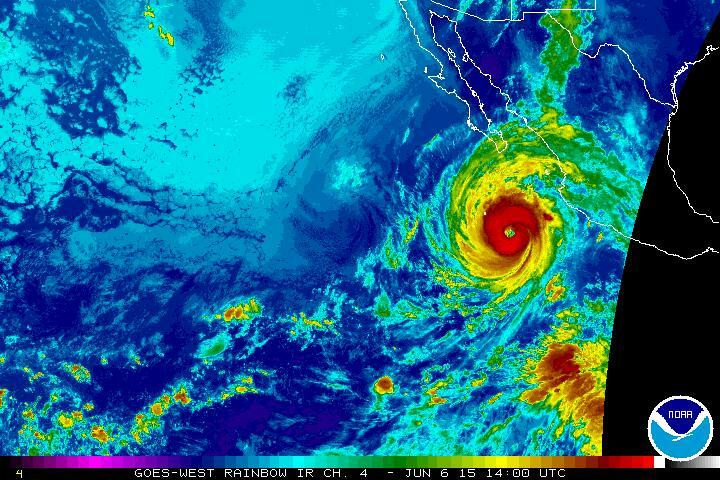 Hurricane BLANCA, the 2nd named tropical cyclone of the 2015 East Pacific Hurricane season has strengthened and reached category 4 [Saffir-Simpson wind scale] as it moves NNW toward the state of Baja California Sur in Mexico. All interest in Baja California need to heighten their preparedness plans, remain alert and folow the progress of BLANCA over the next couple of days! There is plenty of disturbed weather to the south and southeast of BLANCA off the coast of Central America and Panama. Previous PostTwo for the season: Hurricane Blanca is here!Next PostCould it be Carlos in the Eastern Pacific?